California filed a lawsuit Tuesday accusing pharmaceutical giant AbbVie of illegally plying doctors with cash, gifts and services to prescribe one of the world's best-selling drugs, Humira, despite its potentially deadly complications. The lawsuit by the state's insurance commissioner accuses the company of a far-reaching kickback scheme that led doctors to write more prescriptions for the drug, tainting their relationship with patients and driving up insurance costs. 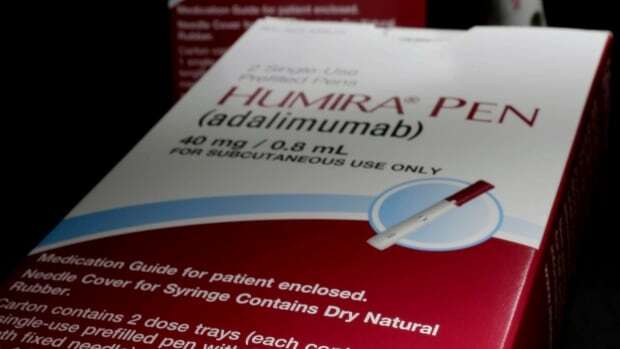 Humira is an injectable drug that is widely advertised as a treatment for rheumatoid arthritis and other inflammatory conditions, and comes with a warning for cancer and serious infections that can turn deadly. Humira is approved in Canada for treatment of rheumatoid arthritis, psoriasis, Crohn's disease and ulcerative colitis, among other conditions. It's global sales topped $ 18 billion US in 2017. California Insurance Commissioner Dave Jones said insurance companies paid more than $ 1.2 billion US for Humira for California patients between 2013 and August 2018. That figure makes the lawsuit the largest health care fraud case in the state insurance department's history, according to Jones's office. The kickback scheme "resulted in patients being directed to use the drug, being denied information that they would otherwise need to rely on to make determinations about whether it was appropriate for them to use the drug and significant additional insurance payments for the drug," Jones said in a telephone interview with The Associated Press. The nurses saved doctors money by handling paperwork and other tasks that normally fall to physicians' offices. They also downplayed Humira's risks when patients raised concerns, the lawsuit says.